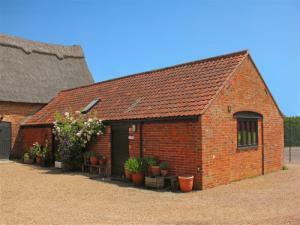 The Cowshed01263 715779work01603 870304fax Self-cateringA beautifully restored and recently refurbished, single storey, Victorian Barn, The Cowshed nestles in the Yare valley in the heart of the Norfolk & Suffolk Broads National Park. A perfect haven for nature lovers with plenty of walks and access to the river close at hand, the property also provides a good base for great family days out. The coast is within easy reach and the Cathedral city of Norwich, with all its attractions is only a 20 minute drive away. A beautifully restored and recently refurbished, single storey, Victorian Barn, The Cowshed nestles in the Yare valley in the heart of the Norfolk & Suffolk Broads National Park. A perfect haven for nature lovers with plenty of walks and access to the river close at hand, the property also provides a good base for great family days out. The coast is within easy reach and the Cathedral city of Norwich, with all its attractions is only a 20 minute drive away.